There are plenty of fancy watches and smart gadgets that can tell you about elevation, pressure, and other important data when you are spending time outdoors. 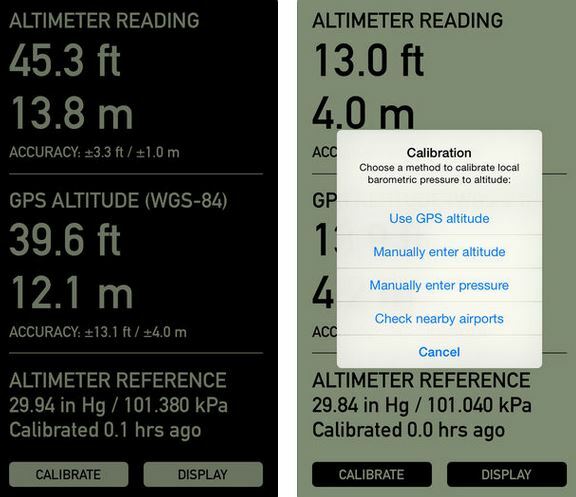 The Pro Altimeter for iPhone can also help. It displays barometric altitude and GPS on your phone. The app comes with 4 different modes of calibration. You can use GPS altitude, manually enter altitude and pressure data, or check the five closest airports within 100 miles to pull data. The app runs on iPhone 6, iPad Mini 4, iPad Air 2, and newer devices.